Growing up, I remember my mother making pancakes with my favorite topping; a mixture of maple syrup, peanut butter and melted butter. These Maple and Peanut Butter Oatmeal Waffles have that flavorful goodness inside, while still being healthy. I used olive oil, instead of butter in this recipe; and there’s no sugar. Oat flour makes them gluten-free and peanut butter provides plenty of flavor and added protein. We’ve been posting plenty of holiday themed dishes and desserts. This recipe is adapted from a Spiced Pumpkin Waffle recipe, but honestly I’ve had my fill of pumpkin this year. Instead you get to enjoy Maple and Peanut Butter Oatmeal Waffles. Maple and peanut butter waffles you say? These waffles are quick and easy to make. Enjoy them as a decadent weekend breakfast, or a quick weekday morning meal, with your favorite toppings and sides. Read the cooking tips section below for an easy way to enjoy these all week long. I recommend using this single waffle iron and this double waffle iron. 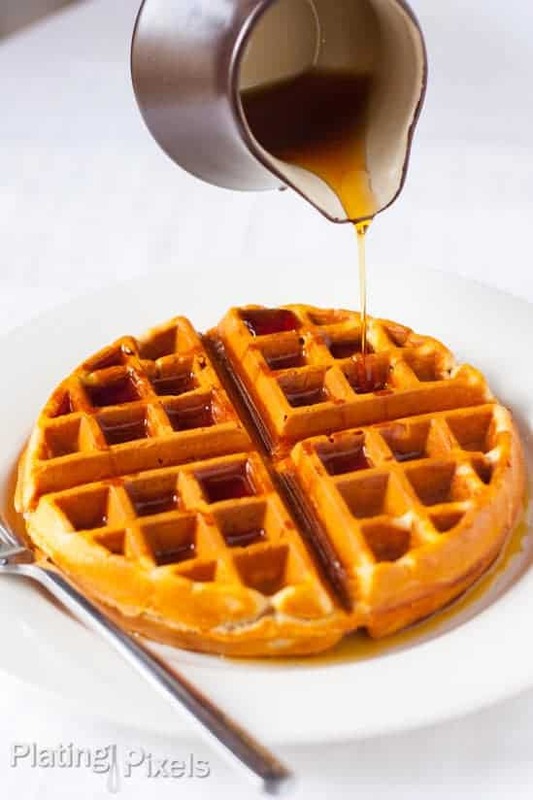 To keep waffles crisp while making entire batch, place cooked waffles in oven at 200º F. until ready to serve. Don’t stack on top of each other or they will steam and get soggy. For fresher waffles all week: Make batter (extra if desired), cover and refrigerate; then cook just the waffles you want each morning. Alternately: Cook all waffles, then freeze extra cooked waffles. Toast before serving. Gluten-Free Maple and Peanut Butter Oatmeal Waffles. 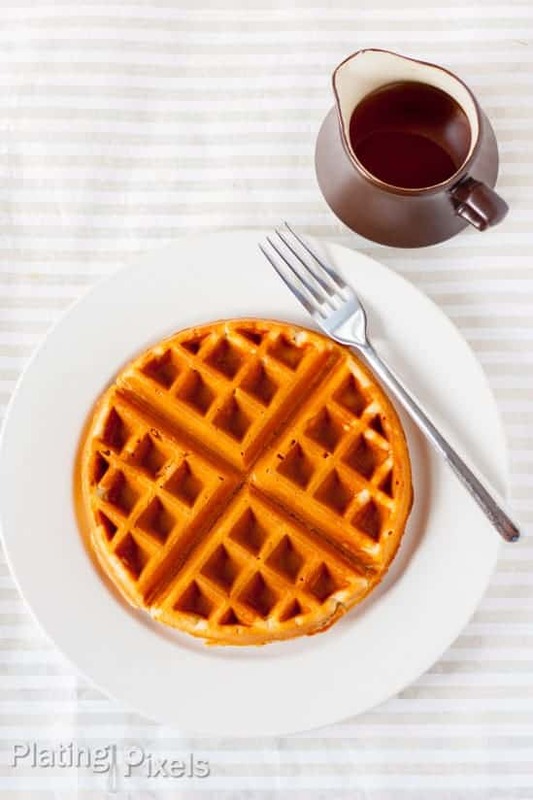 Peanut butter and maple syrup make these healthy waffles without sugar. 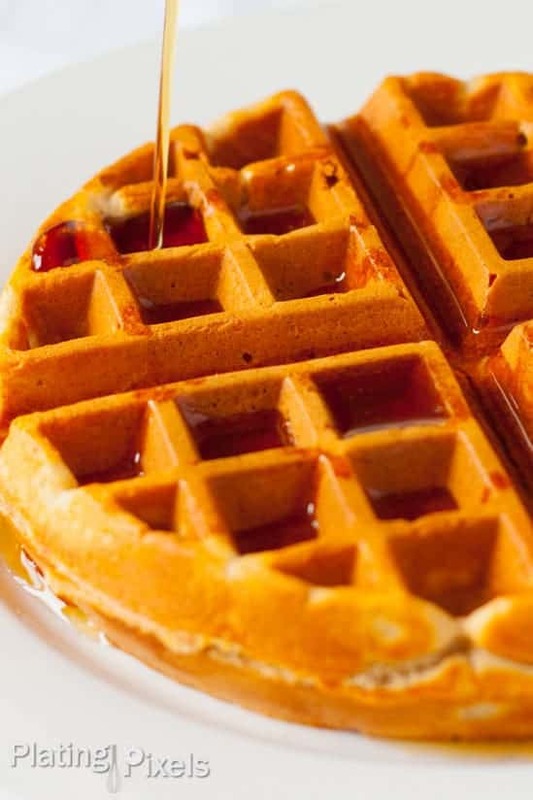 Oat flour gluten-free waffles. In a large bowl, combine oat flour, baking powder, salt, nutmeg and cinnamon. Whisk together to combine. In separate medium bowl, whisk the eggs. Add milk, olive oil, peanut butter, maple syrup and vanilla extract. Whisk until completely combined. Pour into flour mixture. Stir with spatula or spoon until just combined, small lumps in the batter are fine. Let the batter sit for 10 minutes so the oat flour can soak up the moisture (optional but recommended), batter will be pretty thick. Why so much olive oil? According to my fitness pal, this recipe equates to 28 g of fat! Hi Pat. The olive oil helps with flavor and texture. A lot of the fat also comes from peanut butter, but these are all healthy fats. The waffles are quite large, so I would say a serving size is half of one. If you prefer less I’m sure you can sub some of it with more milk. Amazing! Peanut butter, maple syrup, waffle, this is my kind of breakfast! Love it! Thanks Denisa! Glad you like it. It’s kinda like putting all the toppings inside of a waffle. Thanks so much for this recipe! I’ll try soon. Hi Marinella. You’re welcome! Hope you enjoy. They’re easy to make and so yummy, you might get hooked. YUM. If I could wake up to a stack of these waffles every morning.. I would be one happy person! I agree Thalia! Although these are healthy waffles, I think these would take away from my dessert quota, but good idea! Hi Cynthia. Thanks for the comment and the compliments. 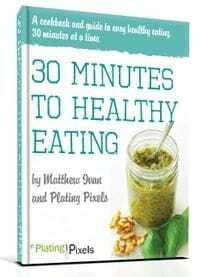 Hope you’re able to find some gluten-free recipes you enjoy. I started food photography about 8 months ago when I started this blog and am really loving it too!